I would like to cancel my monthly subscription. 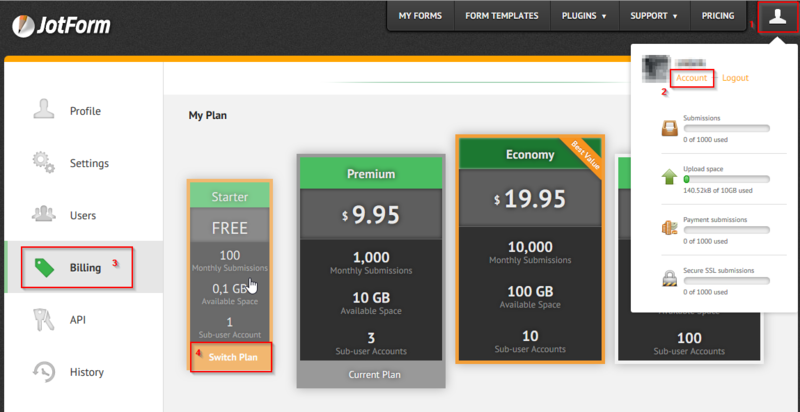 You can downgrade your premium subscription to free subscription by yourself from our pricing page while you are logged into your JotForm account. When you cancel your subscription you will not be charged again. But your account will Premium status until your next billing date. Hope this information helps. Please get back to us if you need any further help. We will be glad to help.